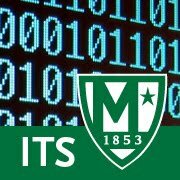 Manhattan College ITS Blog: Have You Transitioned to Drive? As has been announced several times over the past year, the Home Server is being retired. All users must transition their files to Drive as soon as possible. Client Services has been reaching out to departments that have shared drives on Home Server to provide extra support for transitions. If you have not transitioned your shared drive yet, please reach out to Client Services as soon as possible. For more information about the Drive Transition Initiative, click here. If you have any questions or require assistance, please contact Client Services at its@manhattan.edu or 718-862-7973.